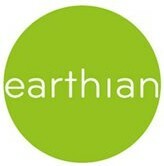 earthian: Killer Places to Stay In! Killer Places to Stay In! Here are 15 killer places to stay in. We say killer because the high toxicity of the area will kill you! The Yamuna is the largest tributary of the Ganges River. Where it flows through Delhi, it's estimated that 58 percent of the city's waste gets dumped straight into the river. Millions of Indians still rely on these murky, sewage-filled waters for washing, waste disposal and drinking water. Rondônia is a state in northwest Brazil which, along with the states of Mato Grosso and Pará, is one of the most deforested regions of the Amazon rain forest. Thousands of acres of forest have been slashed and burned here, mostly to make room for cattle ranching.